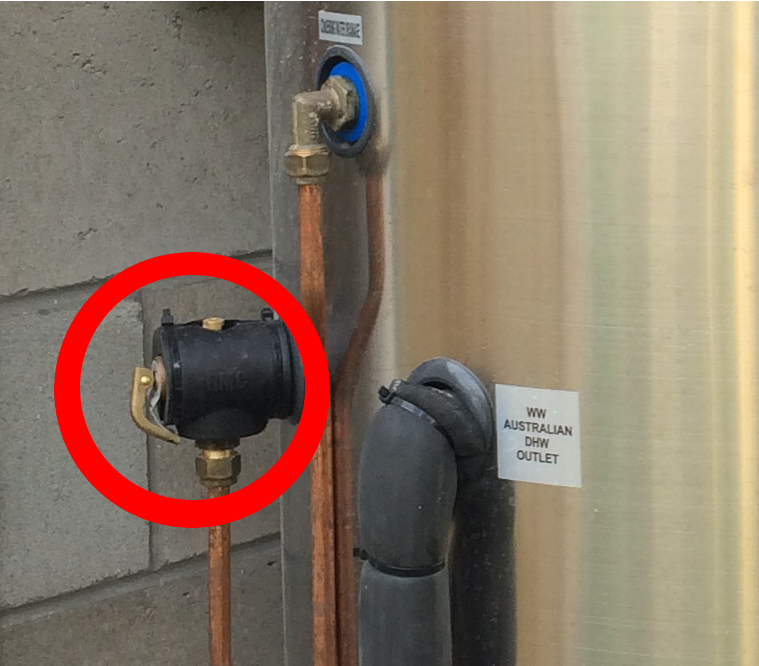 Should the PTR or Cold Water Expansion valve be leaking? Every Hydrotherm hot water system is supplied with a Pressure Temperature Relief Valve (PTR), which is a designed to release hot water if the system ever over heats or is subject to high pressures. Depending on your council regulations the Hydrotherm hot water system might also be fitted with a Cold Water Expansion Valve (ECV) which is designed to release water if the supply pressure is above 500Kpa. This is true of all Hydrotherm hot water systems installed in Brisbane council. During the heating cycle the ECV and PTR can leak between 0-2L of water. This is why some councils have made it a requirement for the PTR and Expansion to be drained off for all hot water system installations. The leaking is required because as the water is heated it expands and the valves release excess cold water to relieve pressure. Make sure your wearing long pans, covered shoes and gloves as a precaution. Ensure that the are area beneath the outlet tap is free of any obstructions. Stand as far away as possible from the end of the pipe. To check the valve, slowly life the handle on the PTR valve. It’s important to not force it. If it can’t move at all that means it will need to be replaced. After having released the valve for around 10 seconds, slowly return the valve to it’s closed position. If the water isn’t stopping, the valve isn’t working properly and will need to be replaced.